The Congressional Budget Office (CBO) recently released the “The Budget and Economic Outlook: 2017 to 2027.” This annual report provides the federal government’s most comprehensive analysis of the current state of federal spending, taxes, and debt. It also provides a framework within which to analyze the President’s budget proposal and upcoming Congressional legislation. Below is a summary of key observations and calculations based on the latest report. 1) CBO projects that tax revenues over the next decade – 18.1 percent of the gross domestic product (GDP) – will exceed all other ten-year periods in American history outside of the 1990s. Yet spending will surge to 23.4 percent of GDP in a decade, resulting in a 2027 deficit of $1.4 trillion. 2) A decade from now, rising entitlement spending and interest on the national debt will consume 99 percent of tax revenues – forcing virtually the entire discretionary spending budget to be financed on the nation’s credit card. 3) Over the next decade, the national debt is projected to rise from $20 trillion to $30 trillion, and reach 107 percent of GDP for the first time since World War II. 4) Between 2009 and 2015, the deficit declined due to sequestration cuts, a modest economic recovery, and tax hikes. The deficit began increasing again last year, and – driven by entitlements and net interest costs – is projected to reach $1 trillion by 2023. 5) Washington will spend $31,154 per household this year. Federal spending is projected to jump another $5,800 per household over the next decade (adjusted for inflation). 6) Social Security, health entitlements, and net interest costs are responsible for $2.1 trillion of the $2.6 trillion growth in projected federal spending over the next decade. These items comprise 57 percent of current spending, yet will account for 82 percent of all new spending over the next decade. 7) Net interest costs – $241 billion in 2016 – are projected to reach $768 billion by 2027. And even that assumes interest rates remain far below historic norms. Rising interest rates would push budget deficits over $2 trillion within a decade. 8) Individual income tax revenues are projected to reach 9.7 percent of GDP in 2027 – the highest level in American history outside of bubble-inflated 2000. · In FY 2016, revenues rose 0.6 percent ($18 billion), while spending rose 4.5 percent ($167 billion), resulting in a $149 billion increase in the budget deficit. · FY 2016 budget deficit: $587 billion (3.2 percent of GDP). Ø Budget deficit of $559 billion (2.9 percent of GDP). Ø Spending is expected to grow 3 percent to $3.963 trillion (20.7 percent of GDP). Ø Revenues are projected to grow 4 percent to $3.404 trillion (17.8 percent of GDP). · In FY 2017, Washington will borrow 14 cents of every dollar it spends. · CBO projects that rising entitlement and net interest costs will bring back trillion-dollar deficits by 2023. · Over the next decade, Washington is projected to collect $43.1 trillion in revenue, spend $52.5 trillion, and run a deficit of $9.4 trillion. This borrowing would increase the national debt from $20 trillion to $30 trillion. · From 2007 through 2027, the national debt will have skyrocketed from $9 trillion to $30 trillion. · By 2027, tax revenues will reach 18.4 percent and spending will reach 23.4 percent of GDP (both well above historical averages). The resulting deficit of 5.0 percent of GDP ($1,409 billion) would occur despite (assumed) peace, prosperity, and low interest rates. · Over the next decade, 18 cents of every dollar that Washington spends will be borrowed. · Spending is estimated to rise by 5.1 percent annually, while revenues increase 4.2 percent annually over the next decade. · From 2007 through 2017 inflation-adjusted federal spending will have soared by $783 billion – a 25 percent increase. · When President Obama took office, spending was just reaching $3 trillion. CBO projects a 2027 spending level of $6.5 trillion. · The eight-year budget deficit under President Obama ($7.8 trillion) was twice the level CBO projected in January 2009 when he took office ($3.9 trillion) – a projection that already incorporated the recession. 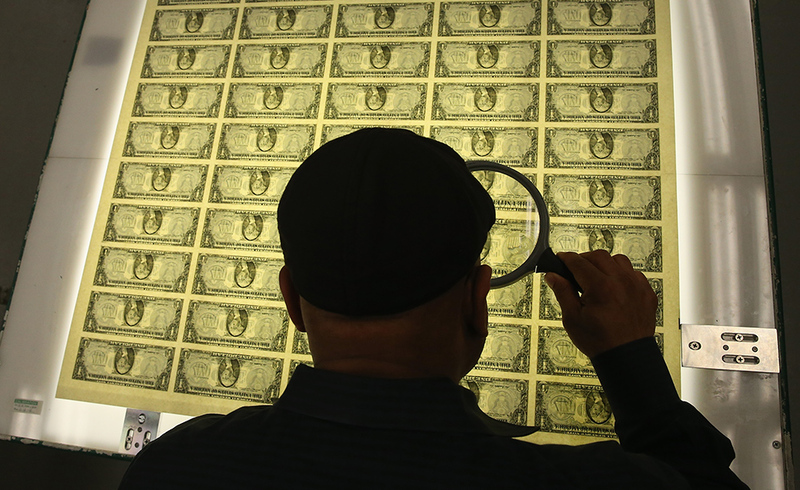 Ø Washington will spend $31,154 per household this year. Spending is projected to jump another $5,800 per household over the next decade. Ø This year’s deficit will be $4,392 per household, and the current national debt is $160,000 per household. Ø The national debt is in the process of rising from $90,000 to $170,000 per household between 2007 and 2027. Ø Expand by 84 percent in nominal dollars. Ø Rise from 69 percent to 77 percent of all federal spending. Ø Consume 99 percent of all federal revenues by 2027, squeezing out funding for other priorities. Ø Social Security and health entitlements will increase 82 percent (or $1,623 billion). Ø Other entitlements will grow 40 percent (or $198 billion). Ø Discretionary spending will increase 22 percent (or $265 billion). Ø Net interest spending will surge by 185 percent (or $498 billion) – and that assumes low interest rates. 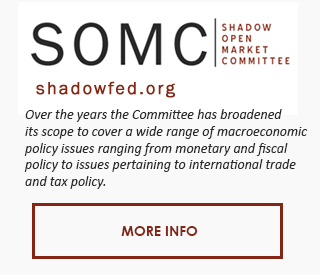 Ø So, Social Security, health entitlements, and net interest are responsible for $2.1 trillion of the $2.6 trillion growth in projected federal spending over the next decade. They comprise 57 percent of current spending, yet will account for 82 percent of all new spending over the next decade. Ø Social Security and health entitlements: up 4.9 percent of GDP. Ø Interest on the debt: up 1.1 percent of GDP. Ø Antipoverty spending and other entitlements: up 0.3 percent of GDP. Ø Defense/war spending: down 1.1 percent of GDP. Ø Non-defense discretionary spending: down 0.9 percent of GDP. Ø Social Security costs will grow 6.0 percent annually. 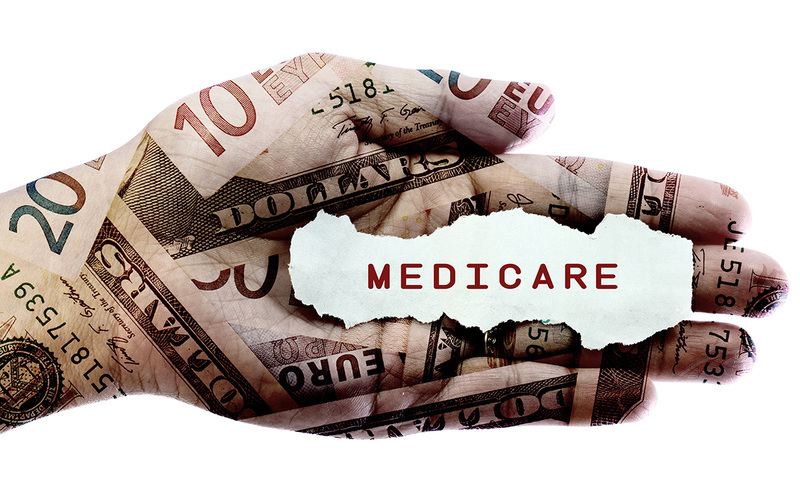 Ø Medicare will expand 7.0 percent annually. Ø Medicaid will increase 5.3 percent annually. Ø ObamaCare exchange subsidies will rise 7.6 percent annually. · CBO’s 30-year budget baseline shows that 100 percent of the rising long-term deficits will come from surging spending. Even revenues reaching a record-high sustained percentage of GDP will not keep up. · Federal health care spending is projected to more than double in nominal dollars between 2015 and 2027, from $939 billion to $1,931 billion (or from 5.3 percent to 6.9 percent of GDP). · Between 2006 and 2027, health entitlements will have risen from 3.7 percent to 6.9 percent of GDP. 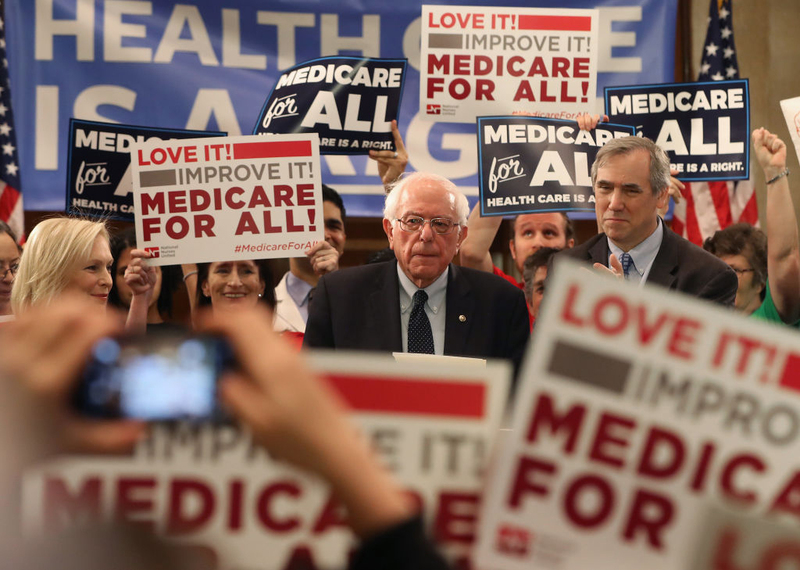 · Obamacare is estimated cost $1 trillion in higher federal Medicaid spending, and provide $919 billion in exchange subsidies over the next decade (much of which is offset with tax increases, Medicare cuts, and penalty fees). · ObamaCare exchange participation is projected at 10 million in 2017 – far below CBO’s 2013 projection of 24 million enrollees by now. · Medicaid spending is in the process of doubling in nominal dollars between 2012 and 2022, due in large part to the Affordable Care Act expansion. · Medicaid costs are driven by the elderly ($8,000 per enrollee) and the blind and disabled ($12,150 per enrollee), which together comprise less than 20 percent of the caseload but 46 percent of all federal Medicaid costs. By contrast, Medicaid’s 34 million children cost Washington just $2,030 per enrollee to insure, as they comprise 44 percent of the caseload but less than 20 percent of the costs (none of these cost figures include state matching funds). · The number of Social Security (OASI) recipients has grown from 40 million to 52 million since 2007 – and will surpass 67 million in a decade. The number of Medicare recipients will leap from 57 million to 76 million over the next decade. Ø Social Security is projected to run a $54 billion deficit this year – which general fund transfers of $87 billion will turn into a $33 billion surplus. These deficits are permanent, and will top $400 billion annually within a decade – all to be bailed out by the general fund. Ø The Social Security trust fund contains $2.8 trillion in assets (which are liabilities to future taxpayers). Ø Social Security’s disability program is projected to be insolvent in 2023. Ø Medicare Part A will run a $6 billion deficit this year, and its trust fund is projected to fall to zero in 2025. Ø The federal highway trust fund is projected to go bankrupt in 2021. · Since 2006, Social Security Disability Insurance (SSDI) spending has increased from $94 billion to $144 billion. · SNAP (food stamp) spending – $40 billion before the recession – will remain around $67 billion even though the recession ended eight years ago. · Unemployment benefit costs – which peaked $159 billion in 2010 – are leveling off at the pre-recession range of $32 billion to $35 billion. · Farm subsidy spending through the Commodity Credit Corporation ($9 billion this year) is coming in 64 percent higher than CBO estimated in 2014. Crop insurance costs are coming in slightly below the levels projected earlier. Ø TARP is projected to have a final cost of $33 billion. Ø Fannie Mae and Freddie Mac will have paid $223 billion to the Treasury between 2013 and 2017, leaving a $75 billion profit since the bailouts began. Ø Deposit insurance is expected to save $125 billion from 2007 through 2027. · Net interest costs –$241 billion in 2016 – are projected to reach $768 billion by 2027. This is driven by both a soaring national debt, and modestly rising interest rates. The total interest cost is projected at $5.2 trillion over the decade. · Each additional percentage point rise in interest rates adds $160 billion in annual net interest costs for the federal government. If interest rates return to 1990s levels, the 2027 budget deficit would reach $2.2 trillion. At 1980s interest rates, the yearly deficit in ten years would be $3.2 trillion. · A decade from now, 28 percent of all income individual income tax revenue will go towards servicing the national debt. · By 2027, Washington will spend more on net interest ($768 billion) than on defense ($741 billion). · The Budget Control Act (BCA) “sequestration” caps are significantly restraining discretionary spending. Overall, non-defense discretionary outlays are projected to fall from 4.2 to 2.5 percent of GDP between 2011 and 2027. Defense spending is projected to fall from 4.5 to 2.7 percent of GDP over the same period – the lowest level since the 1930s. And even that assumes wartime supplemental bills continue. · Discretionary outlays – $1,347 billion in stimulus-inflated 2010 – fell to $1,165 billion in 2015, but is now growing steadily to $1,209 billion in 2017. Ø 2015 - $1,014 billion. Ø 2016 - $1,067 billion (after $50 billion bump up). Ø 2017 - $1,070 billion (after $30 billion bump up). Ø 2018 - $1,065 billion. Ø 2019 - $1,091 billion. Ø 2020 - $1,116 billion. Ø 2021 - $1,145 billion. The BCA expires after 2021, and the CBO baseline for discretionary spending subsequently grows by inflation. · The Global War on Terrorism is estimated to cost approximately $80 billion per year in the CBO inflation-growth baseline. Ø 18.1 percent in 2018 (projected). New tax increases, and the economic recovery account for much of this increase. · Over the next decade, revenues are projected to average 18.1 percent of GDP – well above the 17.4 percent average of the past 40 years. Ø 57 percent between 2010 and 2017 (from $2,162 billion to $3,404 billion). Ø 51 percent (projected) between 2017 and 2027 (from $3,404 billion to $5,140 billion). 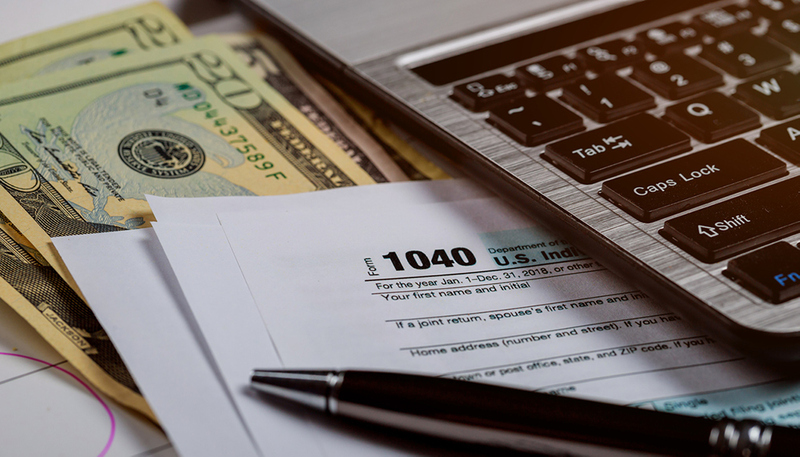 · Individual income tax revenues are projected to reach 9.7 percent of GDP in a decade – the highest level in American history outside of bubble-inflated 2000. · From 2011 through 2017, corporate revenues are projected to jump from $181 billion to $320 billion. · Federal Reserve earnings, which leaped from $30 billion before the recession to $116 billion in 2016, are expected to settle back between $50 billion and $70 billion over the next decade. · In short, revenues are set to well-exceed the historical average. Large deficits are the result of even higher spending. · After six years of anemic economic growth (ranging from 1.6 to 2.6 percent annually), CBO has given up on assuming an economic boom is near, and now assumes weak 2.3 percent growth this year and approximately 2 percent annual growth thereafter. · CBO projects the unemployment rate to remain between 4.4 and 5.0 percent. The labor force participation rate will continue falling from 66 percent before the recession, to below 63 percent now, to 61 percent by 2027. · Despite escalating debt and a tightening of monetary policy, CBO projects that the interest rate on the 10-year bond will not rise above 3.6 percent – compared to average rates exceeding 10 percent in the 1980s, and 6 percent in the 1990s. · The growth gap: When President Obama took office in January 2009, CBO’s economic projections for the next decade already incorporated the recession. Yet the actual 2009-2016 GDP still came in $2.7 trillion lower than even these dampened projections. The 2016 GDP was $1.3 trillion lower than projected in 2009, which equals $10,000 per household in lost GDP for that year alone. The budget deficit predictably fell from its 2009 peak because the recession ended, taxes were increased, discretionary spending was capped, and low interest rates limited the net interest costs on new debt. However, over the next decade, sharply rising Social Security and heath care spending, higher interest rates on the national debt, and sluggish economic growth are projected to bring back trillion-dollar deficits. Lawmakers will face difficult decisions to rein in this spending and debt, and to ensure economic prosperity.